My friend and I arrive Oct 18, 2015 and spent 13 days with Mustafa driving us through your amazing country. First of all Mustafa gave us important and intersting information. Each day he would add to our knowledge of Morocco, the people, the food and customs. We really appreciated him giving us the confidence to explore the areas after he dropped us at the Riad for the day. He was an excellent driver and excellent companion. We laughed a lot. There are so many fond memories of our trip and it's hard to organize my thoughts. Without a doubt the favorite place was Skoura Oasis. The palm groves took my breath away! Ksar El Kabbaba is one of the loveliest stops on earth. Travelling through towns and city watching Moroccan people working, going to school and doing their daily business was a pleasure beyond description. Everywhere we went people were nice to us. Seeing camels roam free and then ridining a camel was just a kick. Having the quiet of the Sahara was unique and the Desert Luxury Camp was exceptional. Our weather was perfect the whoel time we were visiting. Thank you, thank you, Thank you!!!! This letter serves to confirm that my family and I had a wonderful experience with your tour company in Morocco September 2015. 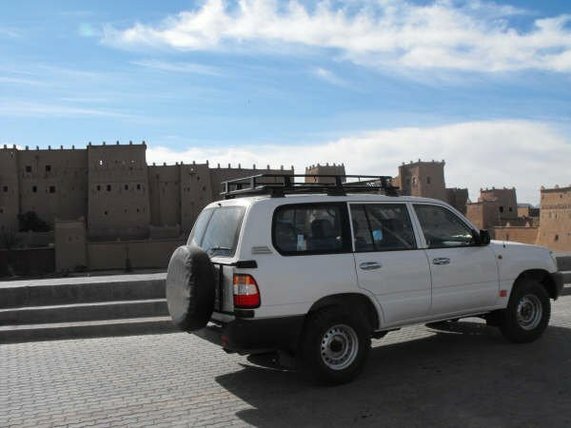 We travelled throughout Morocco in a very comfortable vehicle. The driver was very friendly and the Tour Guides on each excrusions were excellent and well knowledgeable. Your Morocco guides were there to meet us at the airport even though the plane was two hours late. The tour guides were always very punctual which helps because being in a foreign country and not knowing the areas and the language does help. SInce my visit I describe Moroccan experience as "A tale of two cities in one town" in other words there is the Old City and newer more upmarket areas in each town where one can reside. I definitely recommend that visitors stay in the old city of each town to get the experience. However, I must emphasiez that the accommodation in some of the "riads" as tehy call the hotels is not the customary accommodation travellers would be used to but the experience is what counts. If a visitor is a bit squeamish then rather go for the more modern accommodation in the "Newer City". Personally, I found the accomodations acceptable and yes what an experience. I further enjoyed the desert experience sleeping out in the open tents experiencing the traditional night out in the open under the stars. The accommodation and food here were brilliantly presented. Overall my holiday was great and I definitely will recommend your company to anyone who wants to travel in Morocco. I just wanted to thank you for arranging the tour. My mom and I had a wonderful time. Abdou was the best guide/driver we have had! He was so informative and friendly and our trip would not have been the same without him. I plan on recommending this tour to all my family and friends and definitely want to come back and see more of Morocco! Thanks again. Thank you for all your help and patience in organizing such an amazing tour of Moricco for our family. Kamal made us feel very safe and looked after. He was such a careful driver up those windy roads and was so kind and helpful. He took us to meet his lovely family too. Nothing was too much trouble for him! We loved the riads you chose for us particularly in Marrakech where Abdelak and Simo made us so welcome and comfortable. Our guide Halim in Fez was amazing - so knowledgable about the history of Fez. We lived our night in the Sahars too. Such a great trip. Many thanks! We had a fabulous time on our trip. The only thing that could of been better was the weather - a bit warmer would been nice. But being off the season made for lesser crowds! Mustafa is great! We really like him. He was safe driver. We always felt safe - even on the windy icy roads. He was very considerate and thoughtful. The "caves" in the Todra Gorge were fantastic! The rooms were great fun and taff amazing. Great food and fun to play drums and sing with them after dinner. I simply don't have the words to tell you how much we enjoyed our trip to Morocco!!! All the things you organised for us were absolutely wonderful... the places to see and visit, the places to stay, the variety... everything... thank you, thank you, thank you!!!!!!!!! We feel enriched in our minds - we learned so much about Morocco from Karim and Abdou, and the guide in Marrakech gave us a fantastic tour and introduction to the city sights and the souk. I have just been looking through some of the photos I took (more than 1000!!!) and looking forward to making a big collage, so we can look at it every day and be reminded of all our many experiences! 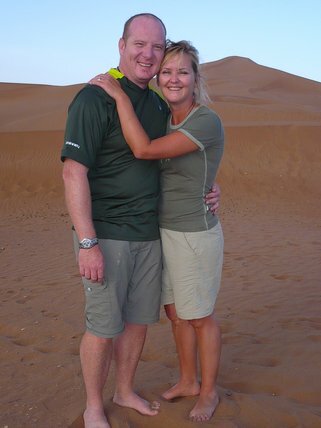 One of the top experiences was of course the desert camp... how luxurious!!!!! We have never tried anything quite like it! All my very best wishes for now. Please send Karim all our love... he was fantastic to be with, sweet, fun, super helpful and he was very good at 'reading' us! The kids already miss him a lot as do we!!! We are on our way to Casablanca now to catch our flight to Valencia. Soon we will be saying goodbye to Morocco. We had a fantastic time in your country. Thanks for all your help to make our journey enjoyable and very memorable. Nothign beats a well thought out organized trip. I love your quick responses to my numberous inquiries. Truly appreciate that. Our gratitude most of all to our driver Hassan who is kindest, sweetest, patient & helpful person. He took very good car of us and made us feel safe all the time. One of the most memorable time we had on this trip was when Hassan invited us to his parent's home in the Rose Valley during EID. What a treat! We did not except it. Hassan and his entire family opened their home and their hearts to us. We felt welcomed and we learned the closeness of your families & the richness of your culture. We are greatful for showing us that. Morocco will go down as one of my memorable, interesting and fun trips. I am sure that I speak for the rest of my group too. Thank you for the wonderful memories that we will cheris thru the years. Sukhran and merci beau coup! Einar and I are back from our wonderful trip to Morocco! We both had a fantastic time!. Hassan was wonderful as you had said. He was sweet, dependable guy who went out of his way to help us on many occassions. Thank you for making the planning for us! You were easy to work with and very responsive. My group had the most amazing time in Morocco! Thank you so much for answering my questions and helping me out anytime I need to reach out to you! You're the best! We love Abdou! He is so funny. Not sure where he got the US sense of humor from but we love it! I definetely refer you to all my friends without a doubt! I am just writing to say how wonderful our trip from Fes to Marrakech was. Abdou is an absolute gem. He has a brilliant personality. We had such fun but at the same time I can assure you he was at all times very responsible extremely attentive and a very safe driver. The tour met all our expectations. I was sick on the Morocco trip and unable to go on the camel/desert trek but Abdou made sure that I was well looked after. The tour really was one of the most incredible things we have done! We are both keen travelers and have been fortunate enough to see some amazing things throughout the world and this tour is most certainly within our top 10 experiences! From the start until the very ned Abdul was full of energy, excellent humor and a joy to have around. We feel like we have gained a friend! The choice of restaurant we had within the 4 days allowed us to sample the best food we ate over our 2 week trip. In addition the choice of accommodation was great also, with the cave experience both unique and fantastic. In fact, we could have stayed longer in Todra Gorge area as it was superb. All in all the trip was faultless and we are going to add a review on Trip Advisor to recommend this Morocco tour. We hope to pass on this feedback to Abdul and let him know how much we appreciated him. We wanted to give some feedback regarding our Morocco Tour - we just want to say we had a wonderful time and really enjoyed the entire experience. Hicham, was the perfect guide, and really made the whole experience laid back and fun, which is exactly what we needed. We were unfortunate to be in Marrakesh on the day of the bomb and Hicham went out of his way to call the Riad to make sure we were safe, and then was most helpful in keeping an eye on us for the rest of the time in Marrakesh. He went beyond his duty! We will not hesitate to recommend Hicham and your company to anyone! I am more then happy to write a review for the company so please let me know what forum (Trip advisor comes to mind) you would like us to comment on. We are back from Morocco. It was amazing. We met great many nice and gentle people. Thomas and Annie which made the tour with us were also so nice. We laugh a lot. Thank you that we can meet them. Also Majid was a splendid driver. He knows so much about the country. He made this Sahara Desert tour of Morocco unforgettable for us. You are also part of this tour, because you organize everything. Thank you very much for all of this. We will come back and participate again for another tour in the beautiful Morocco. The car was in good condition, the pick -ups were timely and Hassan was probably the best driver I've had in any country around the world. He was extremely attentive and cautions and even when we were on the hair raising Tizi Tichka Pass, I never felt a moment of concern. Had we had a less competent driver, I feel certain I would have had some anxiety about our safety given the condition of the road. He was always patient with our photo and bathroom stops and help us out of the van without any sense of impatience. Thank you so much for including Mohamed on our trip of Morocco. He was a delight from the moment we arrived and we all felt sad to say goodbye t one another when we departed. he is mature, responsible, his English is excellent, and most importantly he is a very good ambassador for Morocco. 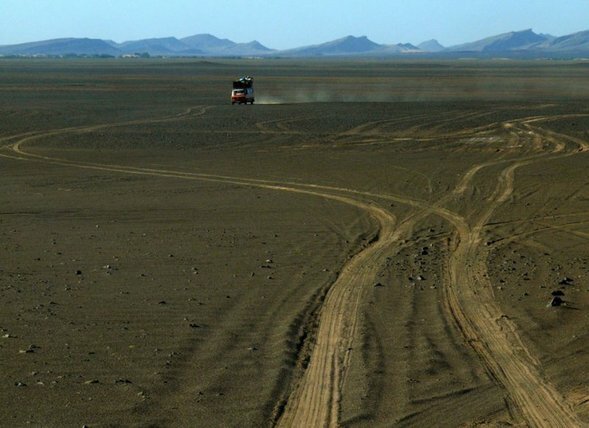 His background is extremely interesting and adds a lot to the trip experience, especially when you have an itinerary that includes the Sahara Desert. The light that he sheds on the nomad experience and their changing culture is really fascinating. In retrospect I think the trip would not have been nearly as complete or satisfying without him and his interpretation. I've been with more knowledgeable guides, but never with a guide who was more sincere and genuine than he is. He is also worldly, considering he has never been out of Morocco and is up to date on all kinds of world issues in addition which makes him a great companion for discussion of general world issues and current events. Given that there is so much paranoia in the US around young Islamic men and the fact that my husband and Bob are Jewish, it was a great cultural coming together and an antidote to the negativity and cultural conflicts so dominant in the world today. If I have any regrets about our Morocco trip, it is only that we didn't have more time. But I'm really glad we did the itinerary prepared. I feel like we covered a lot of ground and got to see the magnificent diversity of "the real" Morocco. Cities are not my favorite and having taste of Marrakech was just enough. Great trip all in all and we are very pleased with your services. Just a note to tell you how much we have enjoyed our trip to Morocco. Your choices of itinerary, facilities, and agenda were perfect. I can't choose what I enjoyed the most - Fez's medina, the drive through the mountains, or the amazing craftwork throughout the country. We saw more then we would have ever experienced on our own! Wayne and I agree that we'll use a full-service provider for all our future trips. Special "kudos" to Oalid! He was a perfect fit for us. He answered all of our questions - regardless of how ridiculous they may have been. He shared local cultures and customs to keep us on the right track and willing guided us to the right people and places. Perhaps, most importantly, he was highly personable. Wayne and I tend to have a lot of fun, and Oalid seemed to appreciate that. Not every tour guide/driver can make this connection as effectively as Oalid did. His strong command of the English language made a huge difference for us because we are embarrassingly monolingual. We were very sorry to lose him after four days. You have a real gem in Oalid. Thanks again Jana. It was a wonderful trip. 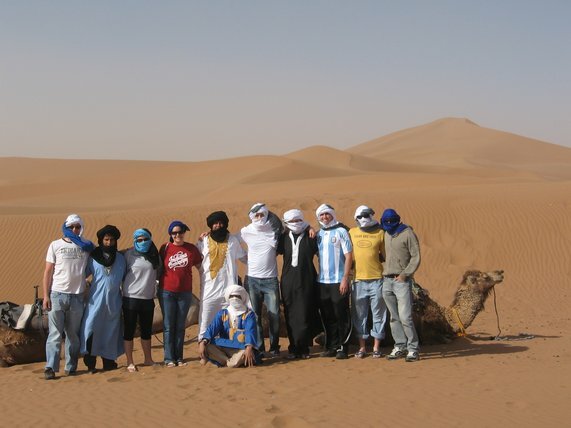 I am happy to recommend your team for future Morocco travelers. 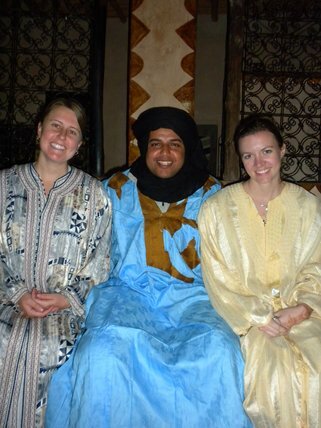 Jana, I just wanted to let you know what a great time we had on our recent visit to Morocco. The tour that you arranged was amazing and we go to see a lot of different faces of Morocco from the cities to the mountains to the desert to the beach. The hotels and riads were clean and comfortable with great service everywhere. We wouldn't be able to say enough good things about the drivers and guides provided. Mohammed and Hassan were outstanding in their professionalism and friendliness. The car was always spotless too. All of the guides had excellent English skills and knowledge of the places we were visiting. Thank you again for your assistance and we will definitely recommend you t o our friends and family that might consider trip to Morocco. Thank you very much for your wonderful tour, places itinerary, visits, local people, landscapes and very friendly operator of Riad Ksar Mallal and very good tanjia and very nice boys in the camp in the desert. But especially thank you to our Moustapha who has been very very great, nice and available to all our demands. He was a great companion, professional. Congratulation to all. We really enjoyed our trip starting in Marrakech and finishing in Fes. We've seen beautiful landscapes: snowy mountains, valleys, gorges lakes and the Sahara Desert; towns, villages and many old Kasbahs. We met interesting and friendly people. And like a brilliant in our journey was our driver/guide Ibrahim. He is excellent driver, very careful and reliable on any sort of roads. As a person Ibrahim is very delicate, tactful and friendly, very attentive to our needs and trying to even predict them. Optimism and good sense of humor accomplished his personality. We will certainly recommend your Morocco tour company and Ibrahim to our friends. I wanted to hit you a quick note to let you know that Brahim dropped us off safely at our Riad this afternoon after a wonderful few days together. We thoroughly enjoyed our tour (and were blessed with glorious sunny weather) ..and Brahim was a delight! He is a lovely guy to travel with - great company, and with a fun sense of humor. We like to laugh and Brahim joined us. He is an excellent driver and guide, and we will be happy to recommend him and your company to our friends. We were happy with the accommodation each night and very glad that we chose to spend an evening with the Berber family. They are lovely people and have a wonderful home. We just wanted to let you know that our Morocco trip was FANTASTIC!!!. The itinerary you put together was great as we saw so many interesting, unique places in only 8 days The scenery was magnificent and each city had its own charm. Our driver Brahim was excellent and took really good care of us. He was like our representative throughout the entire trip and always stood by us. He had a good sense of humor and was good company. We quickly became friends. The tour guides Khalid in Fes and Mohammed in Marrakech were also very outstanding and held a wealth of information about their cities. We especially liked Mohammed because he helped us find my lost backpack from the previous day before we started touring. Luckily, we found it in a cafe where I had used their restroom. The accommodations you selected for us had GREAT service and the rooms were very nice. I think our favorite was the last riad in Marrakech (Reves D' Orient). 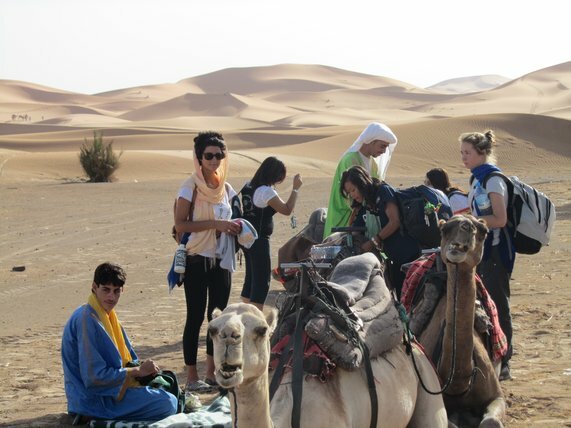 The camel trek into the Sahara Desert was tiring but well worth it. There is nothing like being out in the dunes overnight. It is an experience we will never forget. I just wanted to thank you for making such a memorable trip and we hope to return to Morocco one day, enchallah. We will definitely recommend your Your Morocco Tour to other people who are considering Morocco as a travel destination. Morocco really exceeded our expectations. Thanks again. Thank you so much for your well organized and wonderful driving during the 3 day tour from Marrakech to Fez. It was comfortable, exciting. We love Morocco so very much. We love the towns, food, nature, people and also shopping. We had a wonderful time in Morocco and we hope to see you again. I really wish your good health and great success in the future. 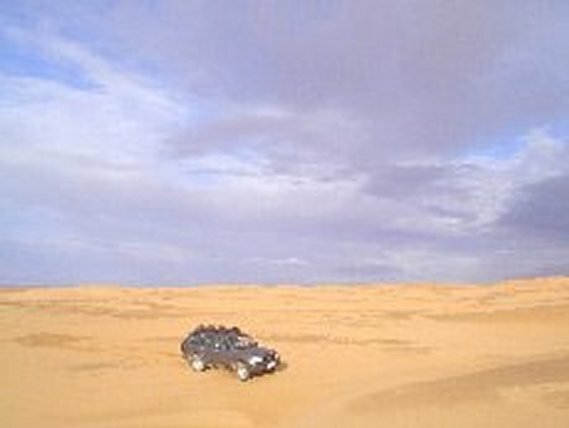 Our trip to Erg Chebbi dunes was amazing. The gorges and the desert were spectacular. The food everywhere was delicious but most of all our guide Naim was a delight. Our trip to Morocco will always have a special place in our hearts because of Naim. He was incredibly polite and courteous. He was patient and always was happy to stop where ever we wanted. His great love and respect for his country was wonderful to see and so rare in our modern times. He has a very positive effect on my children. We all felt very sad when our trip came to an end. On the plane as we were about to take off both of my children looked out of their windows and said "Goodbye Morocco, Goodbye Naim"! We indeed had a wonderful time. Morocco is a beautiful country. We were -or at least I was - surprised by the diversity that we saw: snow covered mountains, green plains, and areas that reminded me of the American Southwest. And we were really impressed by the friendliness of the people. One of the highlights of our trip was our driver, Ibrahim. He was reliable - always on time. He was safe - we never felt in danger on any of the roads, no matter how narrow, twisty or in need of repair. And he was personable - one of my lasting memories will be the four of us singing "Yellow Submarine" as we worked our way toward the Cascades D'Ouzoud. We enjoyed our accommodations. The Riad Tafilalet was great. The hosts, Ibrahim and Abdul, were charming and very helpful. And we enjoyed the charm of the Riad Reves D' Orient in Marrakech. My sincere thanks to al of you for making such a great travel in Morocco. Our driver Abdou was great, and it was great travel all over Morocco with him. It was raining while we were in the desert so it was a clear message that we all have to come back again :). I will recommend your agency to everyone. We had a fantastic time in Morocco and enjoyed the Fes to Marrakech tour very much. Thank you for suggesting a stay with a Berber family. That really gave me an authentic Morocco experience. Brahim is very nice and took good care of everything. We definitely felt safe throughout the trip. Thank you once again! Thank you so much for your arrangements on our Morocco tour. We truly enjoy our stay in Morocco, and are really impress by this country. We are so happy with everything on the tour, including our beautiful riad, food and memorable night in the Sahara Desert, it was a unique experience to me and my friends! More importantly, our driver Brahim is so nice and excellent. He made a safe trip in Morocco and took care of everything we need. We all became friends after the tour. Unfortunately, we only had limited time in Morocco, and still have many places not yet discovered. I really hope that I can visit the country again in the future. I will definitely recommend to my friends Morocco and also your tour. Thanks again! The tour was amazing! I and my two friends had a blast! 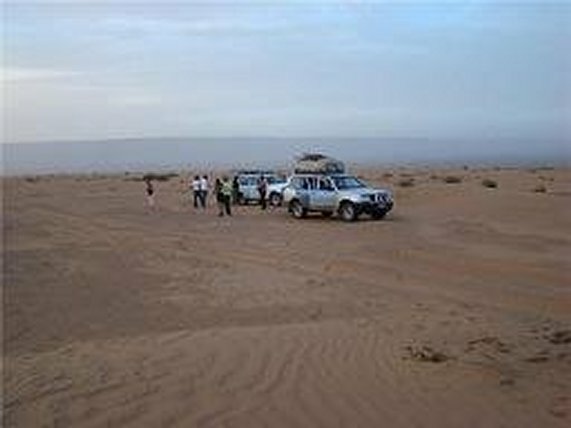 The highlight was the second day in the desert when we reached the high sand dunes. It was a spectacular view from the top. We ere also extremely happy wit hour driver Samad. He knew lots of the locals on our drive and by the second day he felt more like an old friend then our guide. Spending the time with him was very enjoyable and unforgettable. 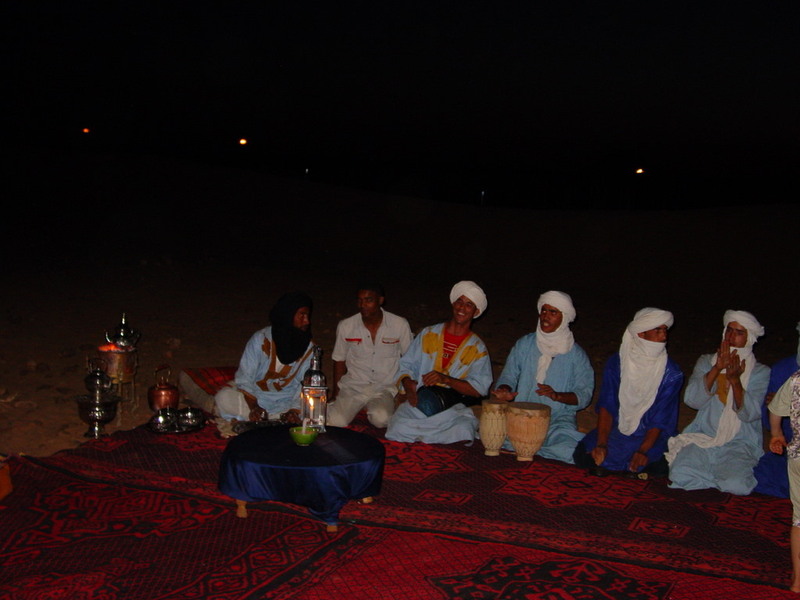 The highlight of the trip was siting outside in the desert at night under the stars while Saharan music was being played for us by the friendly staff. It was beautiful music and beautiful setting. Thank you very much, I am going to recommend this tour to Everyone. It was unforgettable and definitely one of the best trips I've done. I and our friends have enjoyed our Morocco trip very much. The arrangements were excellent, the hotels were good. Al of us agreed that our guide was an excellent. He was a good driver, nice guide and such a great person. It was so nice to have him with us. Thank you for the trip. Now that we are at home and rest a few days, I want to tell you that we were very pleased with Ibrahim. He was careful driver, gentleman, funny and very helpful for helping us to find nice hotels, supermarkets and so. If my friends will want to travel to Morocco I will be very happy to recommend his service. We just returned from our travels. Wow! Our Your Morocco Tour portion of our trip was so fabulous!!!! I will definitely be writing a great trip advisor review. Everything was just how we wanted it. It was so memorable!! Brahim was a WONDERFUL guide! Thank you for all your help and answering all our questions prior to the trip. The tour was amazing. The whole three days were a wonderful experience and we al thoroughly enjoyed ourselves. Abdou was one of the most pleasant natured and lovely people I have ever had the opportunity to meet and I will certainly recommend him and Your Moroccan Tour to my friends. Abdou made our experience of Morocco fun, most enjoyable and one to remember. I can speak on behalf of the four of us that we felt very sad to leave him behind and if he would have fit in my case we would have brought him back to England! Thank you very much!! We had a great time in Morocco and everything was perfect. The trip was FANTASTIC!! We had absolutely wonderful time. Adou was an excellent tour guide and driver and we both really enjoyed his company and insights into the places we visited. He was very professional, friendly, knowledgeable and just so happy and excited to be sharing his country with us. He did a really great job of showing us around and made our trip very special. We particularly enjoyed some of the off-roading we did where we were isolated in the beauty and serenity of the spectacular landscapes. I am very impressed with the tour and we the services you provided in organizing this tour for us. You were always very helpful and prompt in you responses which is why I chose your company in the first place. If you ever need to use me as reference I would be happy to discuss my experience with other would be travelers. We just wanted to say a big thanks for organizing our tour from Marrakech to Fes. Everything went very well, and will be one of the journeys we will remember forever. After contacting Abderrahim on arrival in Marrakech, he took our hotel details and confirm pick up on the day. Our driver Ibrahim was fantastic. He contacted the hotel and then the hotel walked us out to meet him. On first glance he looked a little forbidding with his shiny brown, bald head and he looked more like a bouncer, but boy was he good. After our initial enquiry "Have you done this run before "his answer was No, first time for me aslo!" I muttered "Oh great" to which he laughed merrily and we realized his Moroccan sense of humour was coming out! It was the start of three interesting, informative, funny and enjoyable days, and he was an excellent driver. The countryside was very interesting, beautiful in places and with snow still on the Atlas Mountains so vast and varied. We loved AitBenhaddou. The gorges and the northern end of the Atlas to Fes a beautiful contrast. The car was comfortable and reliable four wheel drive. Ibrahim waited for our hotel staff to meet us in Fes then came to join us there for a last glass of tea. All in all a great trip and so worthwhile. This email is to specifically thank you for all the arrangements made by you to ensure that Maurice and I had a terrific holiday in Morocco. We loved every moment of our stay in that fabulous country and are so glad that we made that choice. There was so much to see and experience and everyday brought us something new to admire and enjoy. We very very happy with our driver Ibrahim. He was a very good, cautious driver who took care of all our needs. Most of our friends are interested in visiting Morocco after hearing about the lovely time we had, so we shall be recommending your tour company. Once again, thank you very much for everything. It was nice dealing with you even though it was only via Internet. Do give our regards to Ibrahim. My daughter and I had fascinating time in Morocco. The guides were very helpful. I am still a little tender from the camel ride but otherwise OK. Thanks again for your help with our trip. Molly and I would like to say massive thank you for your help in organizing our tour. It turned out to be the best part of our Morocco trip and Brahim was great! We will certainly recommend to others. Jana, we had a great time on our the Morocco tour. We can't praise enough our lovely driver, Ibrahim. He was great and your advice and input on how to structure the tour was helpful. We enjoyed our Marrakech guide Said, had a great conversation with him and learn so much throughout the day. Our hike in to the Dades Gorge was a highlight and we enjoyed our night in the desert though some of us were a bit sore from the camels. We also all suffered a bit from tagine overload. A real highlight for us all was being with Ibrahim. We consider him part of our family and he took our young son to MacDonalds one night in Marrakeech as a speacial treat. We hope to see him if he ever comes to New York. We hope our kids did not drive him crazy on the long drivers. We made it home late last night. It took us two extra days to get home because of the volcanic asch, but we feel lucky that was all. We had a great trip and everyone was very nice and professional. The driver was excellent driver and we always felt safe. He was very accommodating. The tour guides were excellent and the riad in Fes has a great food and was very comfortable. We had an excellent trip and really appreciate all the work you did. Thank you. Everything was wonderful: our driver turned out to be a great travel-mate for us; we laughed a lot together... and he explained us lot of things. Honestly, I decided to go with a organized tour as I wasn't sure I'd be able to drive in the desert but afterward I can say it was a good choice, because we wouldn't have been able to have such a deep insight in the local culture traveling on our own; it was great to discuss with him and his friends about the desert and the Berber traditions while drinking tea under the stars in the desert. And, needless to say, the desert itself is stunning; I've traveled quite a lot in my life....but Sahara features some of the breathtaking landscapes I've ever seen. Both Jade and I loved our time in Morocco and in particular the tour. Ibrahim was great and it was really reassuring to have such a safe driver after seeing the crazy drivers in Marrakesh. We really enjoyed the off road aspect on the secon day as we made our way to Dades Gorge. I noticed that the other tour compannies went the paved road around instead and in fact that was my favorite day of the trip. I would definetly recommend your Your Morocco Tour to anyone travelling to Morocco. We truly had a great adventure in Morocco and thanks to your tailoring the itinerary! Majid is an EXCELLENT driver. To him, driving is safety number 1 priority.... No rush but tranquil, tranquil. My family felt very safe with him as he did not take any chance at all to ensure safety of his customers. Traveling with him is extremely fun. He was very polite and obliging to his customer and a happy man. During a long journey, I had also the chance to use Berber toilet ... which is the biggest toilet in the world. The riad in Fes - the best places I have stayed in, considering I have visited 13 Middle East countries and North Africa. It is uniquely decorated with Moroccan touch of heritage. The owner and his assistant provided us with extremely warm hospitality throughout...We asked them to cook dinner as well in addition to the breakfast that was part of the package ...They cooked DELICIOUS tajin. We really loved staying there. Again thanks for the adventure! We really enjoyed it! Jana it is pleasant to be acquainted with you..
We had a wonderful time in Morocco. It was a much more varied, exotic, and stimulating experience than Phil had expected. Our driver was extraordinary. He certainly enhanced our trip - always prompt, courteous, caring, trying to find out what would please us. The riads were great - the first was an oasis in what could have been a crowded city. The food was great and the little lady who served us gentle and courteous. Thank you so much for the elegant riad in Fez. The staff was extremely well trained, the manager friendly (asked us about UFOs in Arizona) and the owner chatted with us. Everyone we came in contact with was friendly and charming giving us a good impression of the people of Morocco. The last day we visited the Volubis site. How magic. We were the only ones there and it has a spectacular aura. I have visited many roman ruins but this will always be my favorite. Thank you so much for arranging it. The trip was utterly fantastic. Sleeping under the stars in the Sahara was incredible. Our guide Abdul was just great. He is very friendly and took care of our any need. I would like you to give him the highest marks and pass on gratitude. Tell that good bye in Hawaiian is Aloha and a hui hou till I see you again. The beds were great and the food was delicious. One of the best trips in our life!!! My sister and I had a wonderful time in Morocco! Thank you for organizing everything for us! Everything went really well and smoothly. The driver Abdou was amazing! 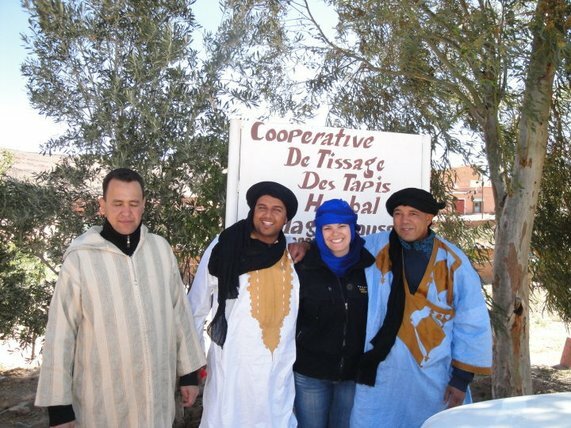 He was very friendly, knowledgeable and showed us a really great time in Morocco! Our days spent in the desert were exceptional! We will remember them fondly forever. Our tour was very nice, the itinerary was interesting, the landscapes are gorgeous and also we were not under time pressure. Our driver has been nice and funny guy. He has been very welcoming and attentive and taught us some Arabic when we asked. We had a nice tour and if someone decides visiting Morocco I would definitely recommend to go with you company. Thank you for arranging our tour. We had a FAB-U-OUS time!!!!!!!!!!!!!!!!!!!!!!!! Abdul was a fantastic driver and a great guy. We really liked him a lot. The accommodations were great - we really loved Laroussa and Riad El Fenn - both were AMAZING!!!! Thank you so very much for your help - we had a great time. Yes, we're back. We arrived back home late on Wednesday night. We had an absolutely fabulous time and would like to thank you for arranging everything for us. The clear highlight of the trip was the days we spent in the desert. We really wanted to create an "adventure" feeling for our trip, especially for our kids (5 and 8yrs). Since we live in an Alps in France surrounded by snow for 4 months of the year, I'm sure you can imagine that a visit to the desert was something truly different - just the ticket for an adventure! With a good balance between traveling in the land cruiser and the camels, along with the good quality of the camps, it all added up to be to a great time ... and the experiences of climbing the dunes at Chegaga will stay with us for a long time!! We'd especially like say that Abdou was fantastic and made a wonderfully positive contribution to our holiday. His rapport with our kids was just great and, whilst not surprisingly they got a bit bored from time to time looking at decoration and listening to the history of the Kasbahs, the fun they had with Abdou more than made up for that. Its rare that you meet someone who is so genuine and full of life and simply happy to be doing what he's doing. He was fantstastic! Firstly I would like to say that we are safely back from a wonderful trip in Morrocco. On the whole we had the adventure we were looking for and would particularly like to sing the praises of Abbdou our guide whose enthusiasm made the trip particularly enjoyable especially for the children, who wanted to bring him home. We had THE most fantastic time in Marrakech and thourougly enjoyed our trip to Ouarzazate. It was absolutely fascinating and a real sense of real Morocco. Our driver Ibrahim was excellent - a very long and tiring day for him! Please send him our thanks. Hopefully we will be back next year. My apologies for not writing sooner. Even though we have been back 5 days , the memories we have of Morocco will live with us forever. We had an absolutely brilliant time. The sights and sounds, the weather, the food, the scenery were all magnificient, and the people were so friendly and welcoming. 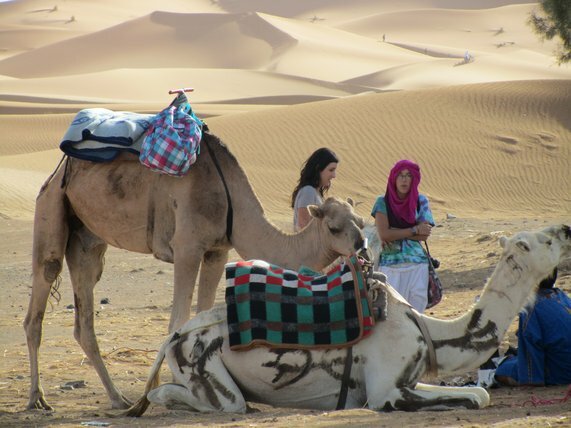 We will difinetly go back again, and are already recommending Your Morocco Tour to our friends, collegues and family. I must say that the organization was impeccable and the Riads and Hotels we stayed in, really made the holiday. The itinerary was just right for us with a family, and we felt we saw so much without being rushed at any stage, or having overly long drives. Our guide Abdou was fantastic. He really knew the country so well, and made our whole trip such a wonderful experience. He was a real credit to your company, and was very friendly with our children. If all the drivers you have are of the same calibre as Abdou, then your business is in good hands. We would also like to thank Saeed, our guide in Marrakech. I think the children were more interested in running around the old jails and toms, however Julie and I were fascinated of the history of the Imperial city. Thanks again so much for helping us to arrange this trip for us. We would gladly recommend your company to any potentional travelers and we will definitely be back. 82% of our clients are either returning clients or referrals.